There are 35 U.S. Senate seats up for election in 2018 and incumbent Democrats have to defend 26 of them. Arguably, the most important vote that senators will make is the one that elects their next majority leader. Leadership decides which bills and amendments make it to the floor for a vote. So, no matter how pro-­gun a Democrat is, a vote for Senator Charles Schumer (D-­NY) for majority leader is bad for guns. The same can be said for judicial appointments. At the time of this writing, the fate of the next Supreme Court nominee in the Senate is unclear. Still, Justice Neil Gorsuch who supports the Second Amendment, will be President Donald Trump’s longest lasting legacy for gun owners. The choice in some races are clear, while others are not. The tie-­breaker, in my mind, are those crucial leadership and judicial votes. Let’s take a look at five of the most important races in November 2018. 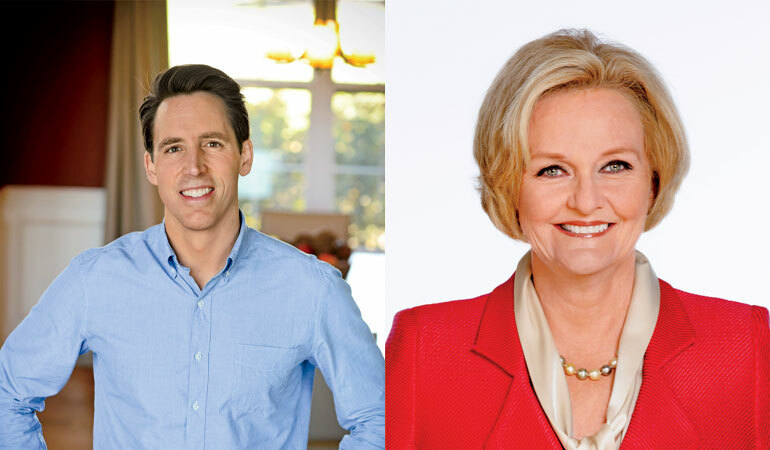 Sen. Claire McCaskill is far out of step with Missouri’s mainstream on gun issues. McCaskill appeared to flaunt her “F” rating by the NRA in an interview with vox.com where she argued that universal background checks and attacking gun show purchases wouldn’t limit the Second Amendment. In 2013, McCaskill voted “yes” on an amendment that would have banned magazines containing more than 10 rounds and voted against confirming Neil Gorsuch’s nomination to the Supreme Court. Josh Hawley is the state’s sitting attorney general and, if his only pro-­gun move in the U.S. Senate is to confirm Trump’s next judicial appointment, gun owners will be ahead of the game. Sen. John Tester’s vote against Neil Gorsuch was the final straw for many gun owners, especially after his support for Justices Elena Kagan and Sonia Sotomayor. Additionally, Tester supported anti-­gun amendments in the Senate filed by Sen. Dianne Feinstein and Sen. Joe Manchin and opposed a Sen. Rand Paul amendment that would have allowed for national right-­to-carry reciprocity. 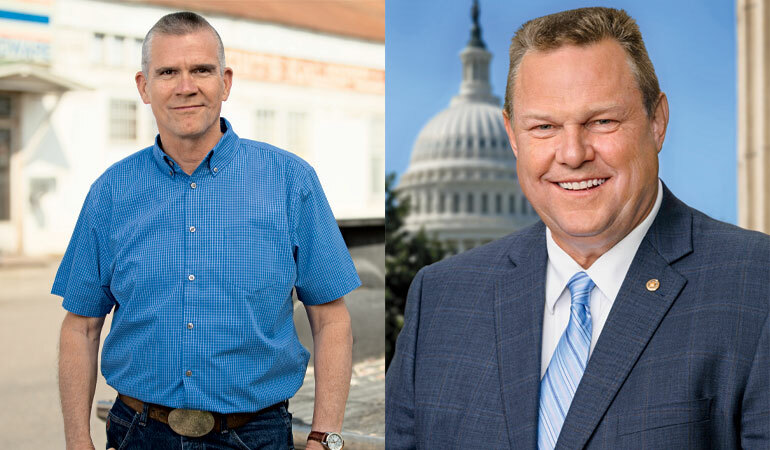 Tester’s opponent, Matt Rosendale, has a solid pro-­gun record in the Montana State Senate and, most-­importantly, would support Sen. Mitch McConnell for the Senate’s majority leader. Sen. Dean Heller has voted time after time in support of gun owners, including voting against a magazine capacity ban. Heller also co-sponsored a national right-to-carry reciprocity bill during his time in the U.S. House. 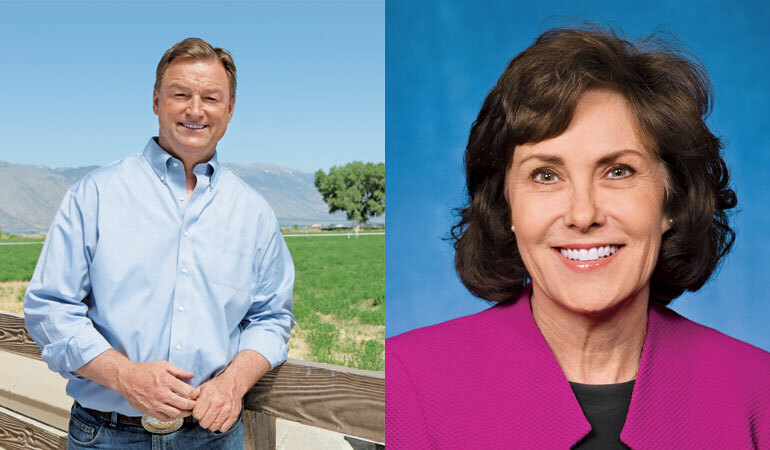 His opponent, Jacky Rosen, co-­sponsored anti-­gun legislation in Congress that would criminalize the mere possession of a so-termed “bump stock” and has publicly supported universal background checks. Democrats are targeting Sen. Heller for his outspoken support of President Trump’s Supreme Court nominees, more evidence that he’s the clear choice for gun owners. A vote for Rosen is a vote for Sen. Charles Schumer. This is an open seat, vacated by Sen. Bob Corker that resulted in a nasty primary battle. Marsha Blackburn, the Republican nominee, has been a consistent pro-­gun leader in Congress who co-­sponsored both the Hearing Protection Act and national right-­to-­carry reciprocity legislation. Her opponent, former Governor Phil Bredesen, vetoed legislation that would have allowed for concealed carry in restaurants on two occasions and supports universal background checks. 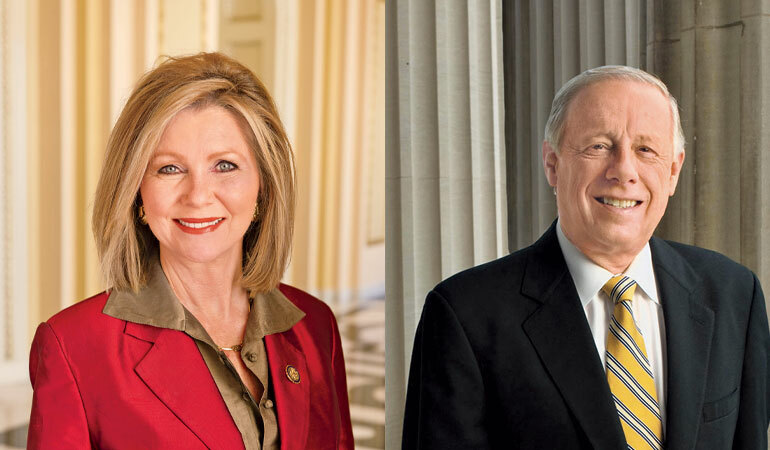 With a record of standing for the Second Amendment in Washington, Blackburn is the clear choice for Tennessee’s gun owners. Sen. Joe Manchin had an extremely pro-­gun record as governor, but has led efforts to impose universal background checks in the Senate since 2013. Manchin also supports ban lists that lack adequate due process protections for gun owners. 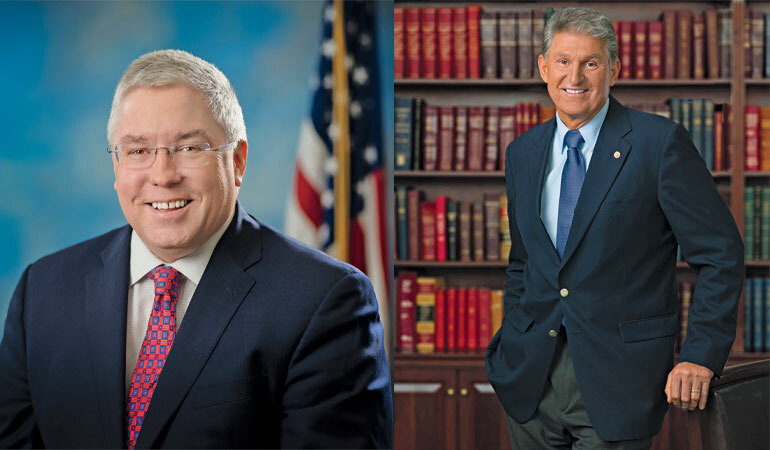 Patrick Morrisey has demonstrated his pro-­gun bona fides as attorney general by working to expand concealed carry permit reciprocity for West Virginians and worked to maintain the ability of his constituents to carry in nearby Pennsylvania. Morrisey can be counted on as an advocate for the Second Amendment in Washington.